Swedish massages tend to be what most people think of when they think of massages. After a stressful day or week at work or as a way to relax, Swedish massages are aimed at helping people simply feel good. They can focus on slow gliding strokes with light to medium pressure that will increase circulation and blood flow. More than anything, they help people to relax without putting too much pressure on the muscles. The end result is a person...More who is happier and more relaxed than when they came in. 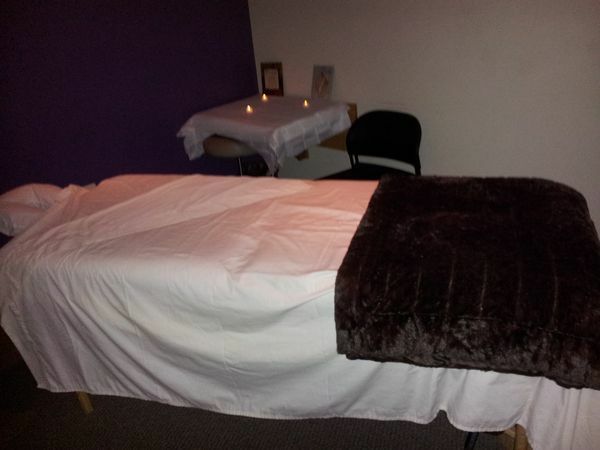 I can provide you with a very relaxing Swedish massage, deep tissue, sports or therapeutic massage. I am very knowledgeable of the body, accompanied by a nice touch. I also like to include hot stones, hot towels, hot oils and lotions, aromatherapy, music and candles. I am very passionate about my work. I love what I do. I am a professional, I have great listening skills, empathy for my clients and I'm committed to my training to expand my physical skills even after schooling. You will not be disappointed. AS A THERAPIST, I PROVIDE A GAY FRIENDLY ATMOSPHERE to make everyone feel comfortable. And my rates are pretty reasonable as well. Ask about discounts offered too. I prefer cash but I also accept Venmo and the Cash App. Tu: 5 - 10:30 a.m.
W: 5 a.m. - 1 p.m.
Th: 5 - 11 a.m. Gathered by Shad from admiring massage clients to share with you. Very relaxing, professional massage. Shad is really good. I will be returning soon. He knows how to identify trouble spots and massage it deeply. Good conversation with client as well. Very easy to book. Incredibly comfortable setting. Total professional. Massage, to heated stones, finishing with hot towels. A massage like no other! I’ll definitely be returning.